Garvick Knits & Apparels Pvt. 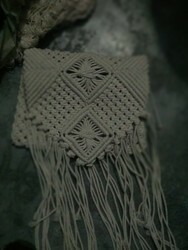 Ltd.
We present handmade crochet bag with high quality beads. Different crochet bags made of acrylic wool and cotton. Hand made crocheted lace hand bags. We offer Knitting Project Bags. These Knitting Project Bags is available at reasonable prices. Our products are of world class quality. We are looking for Foreign buyers. 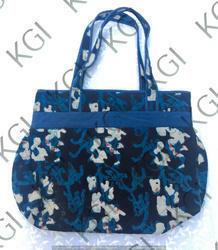 We are involved in offering high quality range of knitted Bag in various grades and specifications. Our entire range of bag is manufactured using high grade raw material ensuring durability at customer end. In addition, these bags are widely appreciated by our clients for their sturdy construction and performance. Adding more, we offer these knitted bags at market leading prices. We are specialized in offering a mesmerizing range of Knitted Shopping Bags. Our product range is knitted to perfection as per the requirements of our clients. This type of bag is designed using quality jute and is widely used. Helps in enhancing the brand image, it is widely demanded for attractive colors and designs. Manufacturers and supplier of Handmade crochet lace bags, crochet flowers, crochet paaches , border lace, edge lace as per sample order. We are offering our client an excellent quality range of Crochet Coin Bag. This range is offered in variety of designs, shapes, sizes and colors. Our range is appreciated by our clients which is situated all round the nation. Our range is available at most affordable as well as at market leading prices.